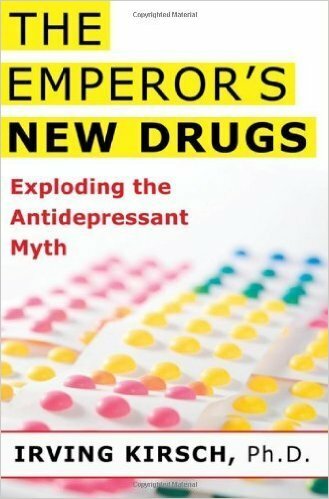 Antidepressants: The Emperor’s New Drugs? Antidepressants are supposed to be the magic bullet for curing depression. But are they? I used to think so. As a clinical psychologist, I used to refer depressed clients to psychiatric colleagues to have them prescribed. But over the past decade, researchers have uncovered mounting evidence that they are not. It seems that we have been misled. Depression is not a brain disease, and chemicals don’t cure it. My awareness that the chemical cure of depression is a myth began in 1998, when Guy Sapirstein and I set out to assess the placebo effect in the treatment of depression. Instead of doing a brand new study, we decided to pool the results of previous studies in which placebos had been used to treat depression and analyze them together. What we did is called a meta-analysis, and it is a common technique for making sense of the data when a large number of studies have been done to answer a particular question. It is rare for a study to focus on the placebo effect–or on the effect of the simple passage of time, for that matter. So where were we to find our placebo data and no-treatment data? We found our placebo data in clinical studies of antidepressants. All told, we analyzed 38 published clinical trials involving more than 3,000 depressed patients. What we found came as a big surprise. It turned out that 75 percent of the antidepressant effect was also produced by placebos – sugar pills with no active ingredients that are used to control the effects of hope and expectation in clinical trials. In other words, most of the improvement seen in patients given antidepressants was a placebo effect. Worse yet, it seemed that even the small seeming drug effect might have really been a placebo effect. These studies were supposed to be double-blind. That means that neither the patients nor their doctors were supposed to know whether they had been given the real drug or a placebo. As it turned out, most of them were able to figure out which they were given, especially those who had been given the real drug. Antidepressants have side effects, and when a patient experiences these side effects, they know that they are in the drug group rather than the placebo group. That knowledge could be responsible for the small apparent advantage of drug over placebo. As you might imagine, our study was very controversial. How could these drugs, which account for about 15 percent or all prescriptions in the US, be placebos? The antidepressants we studied had been approved by the FDA. If they were just placebos, why did the FDA approve them? To answer these questions, my colleagues and I used the Freedom of Information Act to get the data that the drug companies had sent to the FDA in the process of getting their medications approved. What we found was even more shocking that what our 1998 study had shown. The difference between drug and placebo was even smaller in the data sent to the FDA than it was in the published literature. More than half of the clinical trials sponsored by the pharmaceutical companies showed no significant difference at all between drug and placebo. What they did find was differences in side effects, like nausea and sexual dysfunction, produced by antidepressants; and the FDA later determined that SSRIs, the most common type of antidepressants, actually increases the risk of suicide for children, adolescents and young adults. So why did the FDA approve these drugs? All they require is that there are two trials showing a statistical difference between drug and placebo. The drug company might have conducted 10 trials, and most have them might have failed to show positive results. Still, if there are two trials that have been successful, the antidepressant can be approved. And even in these two successful trials, it doesn’t matter how large the drug effect is. It can be small enough to make no real difference in people’s lives. It doesn’t have to be clinically significant; It just has to be statistically significant. Fortunately there are alternatives to treatment with dangerous but largely ineffective drugs. Psychotherapy works, and some types of therapy have been shown to be much more effective than antidepressants over the long run. Physical exercise also works, and at least for mildly depressed people, there are self-help books like David Burns’s Feeling Good, that have been tested in clinical trials and found to be effective. So if you’re feeling blue, you may not have to take pills to get better. Instead, talk to your doctor about safer and more effective alternative treatments. 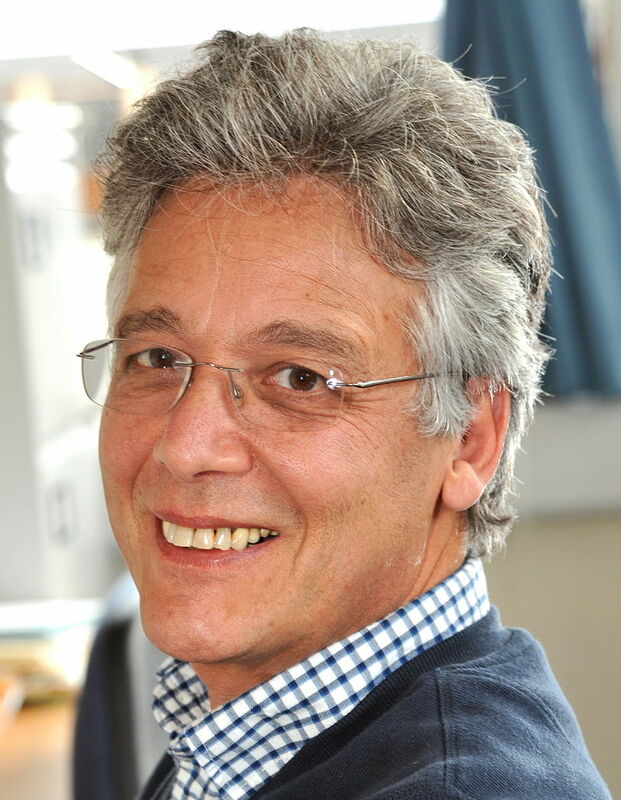 Irving Kirsch is Professor of Psychology at the University of Hull in the UK and author of „The Emperor’s New Drugs: Exploding the Antidepressant Myth“ (Basic Books, 2010). Irving Kirsch (born March 7, 1943) is Associate Director of the Program in Placebo Studies and a lecturer in medicine at the Harvard Medical School and Beth Israel Deaconess Medical Center. He is also professor emeritus of psychology at the Universities of Hull and Plymouth in the United Kingdom, and the University of Connecticut in the United States. Kirsch is noted for his research on placebo effects, antidepressants, expectancy, and hypnosis. He is the originator of response expectancy theory, and his analyses of clinical trials of antidepressants have influenced official treatment guidelines in the United Kingdom. 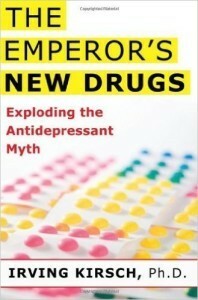 He is the author of the 2009 book, The Emperor’s New Drugs.